For a food that dates back to the 1700s, the sandwich seems more relevant than ever among U.S. consumers. In the restaurant industry, sandwich chains have always been popular fast-food fare, but we’re seeing a proliferation of sandwich menu items in casual and fine-dining establishments as well. The attraction of a sandwich lies in its simple format but unlimited options. Bread and fillings are the only guidelines, and it’s up to the sandwich maker to determine the rest. Sub sandwiches have maintained a spot at the top of the sandwich hierarchy for quite a while, and this iconic sandwich doesn’t show any signs of slowing down. 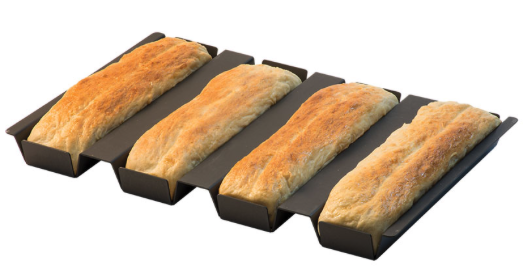 To meet the demand for perfectly baked sub sandwich rolls, our innovation experts developed a 4-Slot Sub Sandwich Bread Pan that holds four, foot-long sub sandwiches. 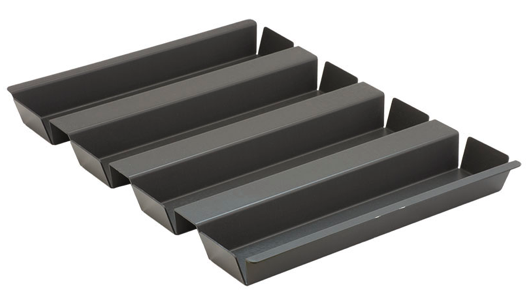 The pan meets the demands of commercial and retail bakeries for sub sandwich pans that are durable, stick resistant and metal-utensil safe. 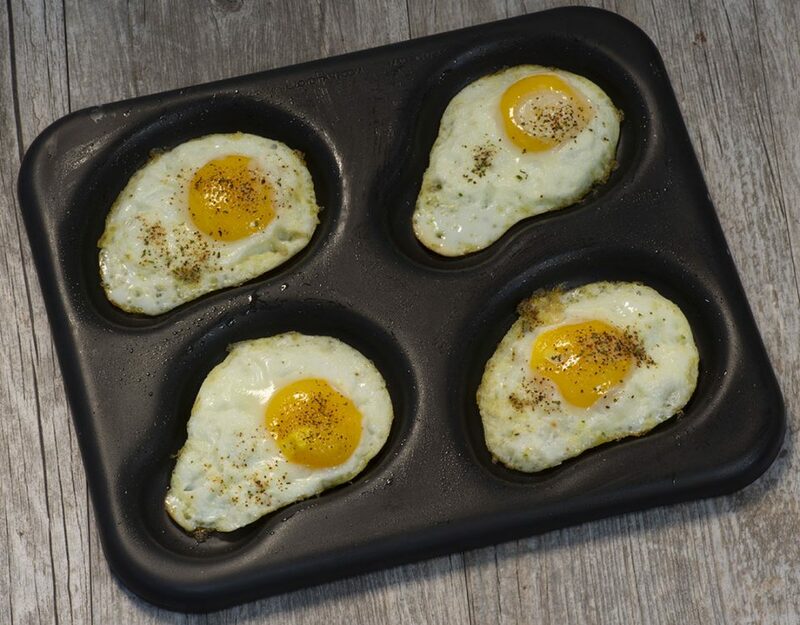 Buy your Sub Sandwich Pans today at www.lloydpans.com.